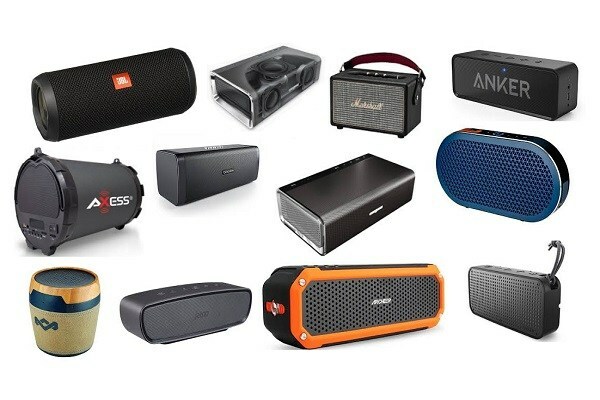 The post The 9 Factors You Need To Consider Before Purchasing A Bluetooth Speaker appeared first on OneTechStop. The best Bluetooth speakers truly depend on the person looking. Every speaker comes with different features and it’s up to the consumer to decide. The more options one has, the more complicated a decision gets. The factors and questions listed below help narrow down the options you have. What Should The Speakers Do? The Bluetooth speakers you choose could be outdoor speakers or indoor speakers. A great Bluetooth speaker is both. You could get something that is fairly large to play with your TV outside, or you could use a smaller speaker with your phone, tablet, or laptop. The speakers that you choose need to be durable enough to stand up to all the use they get because most people wear out their speakers from everyday use. The speakers also need to be easy to charge, and they need to have a connection process that’s easy to understand. You could also use a small speaker which hangs from your wrist, or it could act as a patio speaker. The key question here is asking yourself where you want your Bluetooth speaker to be. Or you can just purchase a speaker for every room in the house. You could set them up to work with the same source of Bluetooth, or you might even have a home automation system that uses Bluetooth to play music throughout the house. What Sound Quality Do You Want? You will discover that most people who buy speakers have a hard time picking the right sound quality because they don’t know what they’re looking for. You can get something with basic stereo sound, or you could get a device with extra bass. It’s also possible that you could use a device that has its own app and equalizer. Be certain that you have read through the specifications of the device before you buy. But don’t let the specifications be the end all be all. Specifications such as wattage can be deceiving. Speakers will have a wattage power of 800 watts, but when played, doesn’t seem like it. That’s because other factors like sensitivity and efficiency also factor into sound quality. Sound quality could also be a little bit narrow when you use a small speaker. You need to look for speakers that have been made specifically for stereo sound. The stereo sound that you get can be produced in a small package, but you’ll want to purchase something larger if you’re planning to use it outside. What Are Outdoor Bluetooth Speakers Like? Outdoor speakers should be made with weatherproof material that’ll prevent them from being damaged by the wind and weather that passes through. You might be under the safety of a little tent, but that does not mean that mist and rain will not blow into the tent. You need to be sure that you can protect the speaker, and that’s why you have to buy something that is specifically meant to be used outdoors. Outdoor speakers also need to be able connect to a television or stereo. In addition, outdoor speakers that you buy should have a cover that’ll prevent them from taking on water damage. Covers that you buy could be a simple slip, or they might be some kind of bag that allows you to store the speaker until you use it again. You can get speakers that are of a moderate size, and you will find that you could use the speakers on shelves and tables around the house. These speakers will all play the music or sound at the same time, and they can connect to any device. Home speakers don’t require any wiring at any time, and you’ll discover that you can have a speaker in literally every room. You could just bring one of those speakers outside if you want to read on the deck on a sunny day. Plus, you could have multiple TVs going at the same time with the sound playing through the house. Make sure your Bluetooth speaker has the capability to scale with other speakers. This is also helpful if you want to set up an intercom system. Having an intercom in the house sounds like a pipe dream because it would be so expensive. However, you can use Bluetooth speakers to the same degree. You could use the speaker for playing music in the baby’s room, or you could put one halfway across the house that’s connected to something which allows you to speak. Do You Need Bass Boost? You need bass boost if you listen to a lot of heavy music. You’ll discover many songs require this because it makes it easier for you to hear all parts of the song. You also need to choose something with bass boost if you plan to be outside because it’s harder to hear in that environment. Environmental sounds can disrupt your music. You can get a simple office speaker for very little money, and you’ll have wireless speakers to take with you regardless of where you go. Average prices for a small quality Bluetooth speaker go from $50-$150. Anything more than this range would be overspending for a small speaker. If you’re budget is tight, just wait for the prices to go down. The prices of Bluetooth technology goes down every year as it gets better. This is due to manufacturing getting better, or other models coming out. Even if you get an older model, an older generation speaker won’t show its age. Everyone should have at least one speaker they can take with them. With a Bluetooth speaker, they can control the speakers for a party outside, or they could play the speakers from across the room. You can use these speakers easily because they’re meant to be connected with the technology on your device, and you can even teach your kids how to use these speakers. They can go outside with you, or they could be there when you’re at the desk trying to think of what to do. Anyone who’s looking for entertainment wherever they go should consider portable Bluetooth speakers. The speakers that you purchase should be Bluetooth ready, and they need to be set up so that you can control them from any location you like around the house. To summarize, your Bluetooth speakers need to have durability, versatility, and great sound quality. These are the main factors you need to consider. If a speaker doesn’t check all those boxes, don’t even consider purchasing the speaker.